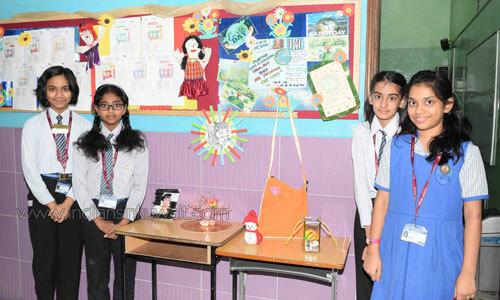 With immense pleasure and pride, the Science Department of Indian Educational School Kuwait (Bhavans) celebrated another glorious and enlightening World Environment Day at the school premises on June 5, 2018. World Environment Day is celebrated each year globally to raise awareness about the importance of protecting nature. World Environment Day is a day to remind ourselves that we are not alone in this planet and to warn ourselves that if we keep on neglecting nature, we will suffer; in fact, we are already suffering. As always IES made sure that the message seeps into the heart of its students on such an auspicious day. Carolyn Kalapurackal - Class X. 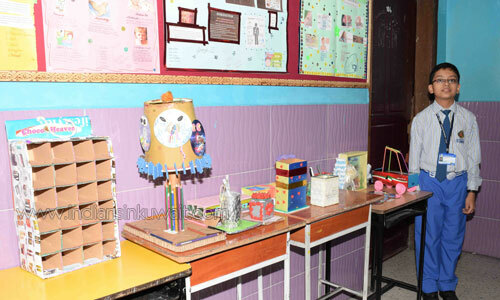 An exhibition titled ‘Wealth from Waste’ was held for the students of grades 5 to 7. 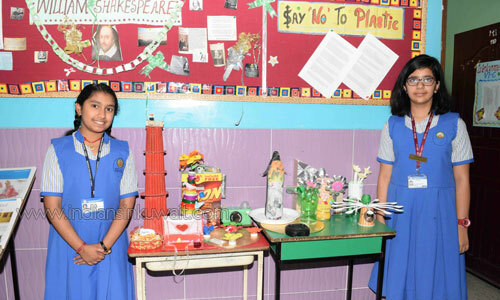 The Eco-club of the school also released a short film with a strong message to ‘Beat Plastic Pollution’. IES strongly believes that each step counts and focuses on developing its students as responsible global citizens. Our concerns for nature should not be nailed to a single day of the year. If we don’t start doing our small yet significant part at least now considering we are already late, God’s creation will vanish. Remember that Mother Nature is our responsibility. IES wished a very Happy World Environment Day to all.